Well, right now is not the time to join the Dog-House club. Make her day by reserving your spot at Off The Strip. We’ll set a romantic ambiance that your significant other will absolutely notice. 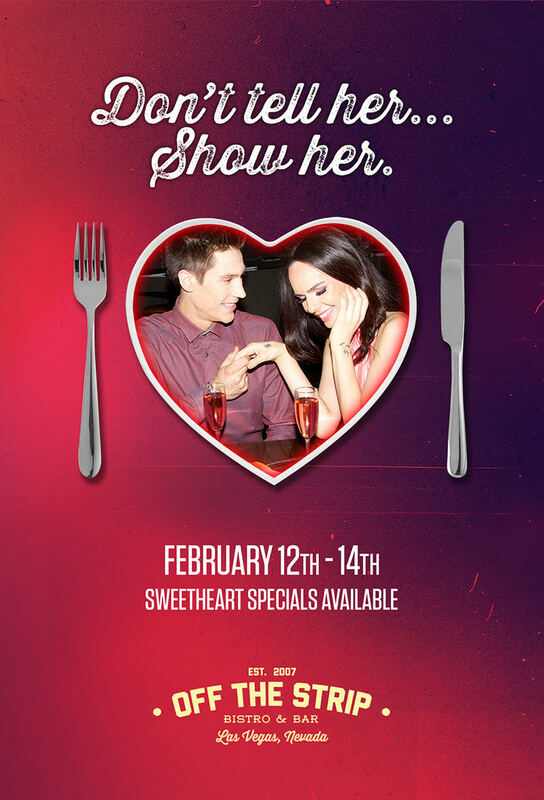 Our Sweetheart Special during this romantic weekend truly is the start of a wonderful night. Tables are filling up quickly. Do NOT miss out. Do NOT be the one that forgets to take your lady out for dinner!